Big Apple Pet Supply recently introduced a line of heated cat beds designed to provide felines with a warm and safe retreat. Thermostatically heated for both cats and kittens, a low-wattage thermostat heating unit warms the bed’s surface approximately 10 to 15 degrees above room temperature. Options of beds include Softemp Heated Oval Cat and Kitten Beds, Comfy Heated Cat and Kitten Bolster Beds, PerfectTemp Hooded Beds for Cats & Kittens, Heat & Hide Crackle Beds for Cats & Kittens, and the Hot House Heated Cat Den & Beds, which feature a dual thermostat design that matches your cat’s normal body temperature. The cabin folds into three different shapes. 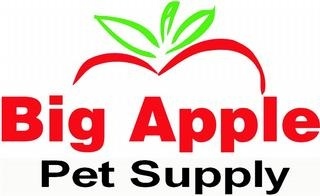 Big Apple Pet Supply was formed in New York City in 1994. After researching how to care for pets properly, the company began sharing its over 100,000 deep customer base with an expansive selection of pet products and expert advice. As a retailer and manufacturer of high-quality pet supplies for reptiles, dogs, cats, fish and small pets, Big Apple Pet Supply ships products worldwide including to museums, zoos and educational institutions. They are committed to bringing innovative and superior supplies to the world of animals and to the people who love them. Log on for more information about the company at www.BigApplePetSupply.com.